The Show Committee, acting through their members, may refuse an entry without assigning any reason. Exhibitors are responsible for having exhibits shown in a proper manner, correctly haltered and numbered according to catalogue. Exhibitors are reminded that they may not leave the ring without the permission of the ring steward during any class. 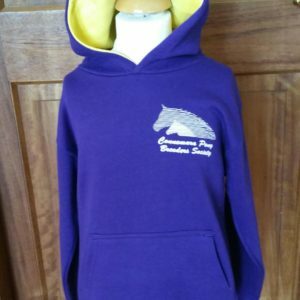 Neither the Show Committee nor the Connemara Pony Breeders’ Society will accept liability for any error in the numbering of an exhibit, for an exhibit not being displayed, or for loss of, or accident to, an exhibit. Exhibits must be the bona fide property of the Exhibitor, registered in their name and in possession of a Lifetime Document or Passport. Foals must be shown at foot with mare in appropriate mare classes. 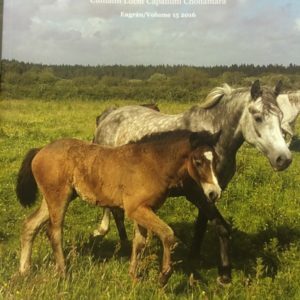 Particulars or breeding for all ponies and Stud Book number and name for registered ponies must be given in the Entry Form. Failure to do so, or the giving of incorrect particulars, may entail disqualification. The Society will not accept liability for any omission from, or error in, the particulars appearing in the Show Catalogue. Entries are accepted strictly on this understanding. Exhibitors are responsible for the accuracy of the particulars supplied in their Entry Forms. Where an Exhibitor knowingly gives incorrect particulars, the Society may disqualify any, or all, of their entries and also refuse to accept an entry from them in future. Each exhibitor in the In-hand Classes and Ridden Classes will receive a pass entitling one person only to free admission to the Showgrounds. Exhibitors must present this pass at the gate or pay full admission. Exhibitors are requested to wear their numbers on their back when leading ponies in the ring on Show Day. No Exhibitor will be admitted to the Show Ring unless they are wearing their correct number. Exhibitors are asked to adhere to a neat dress code. The Judges may withhold a prize in any Class in which, in their opinion, there is not sufficient merit. Owners of animals are advised to arrange their own public liability insurance cover. This should cover the exhibiting of animals at public shows. All Exhibitors enter and show their ponies at their own risk. 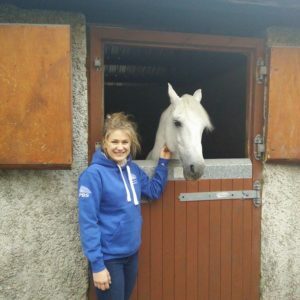 On Thursday 15th August Mares & Geldings aged 2 years old and over on 1st January 2019 must be entered in Class 1 of the CPBS Studbook to be eligible to compete in in-hand classes Stallions aged 3 years old and over on 1st January 2019 must be entered in Class 1 of the CPBS Studbook to be eligible to compete in the in-hand classes. 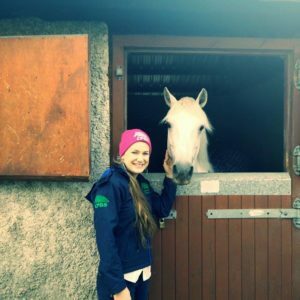 ENTRY FEE – €35 per Pony per Class unless otherwise stated. The MINIMUM amount to be sent with any Entry Form is €35 in fees. ENTRIES will not be accepted after TBC 2019. All fees must be paid when entering. LATE ENTRIES CANNOT BE ACCEPTED. SPECIAL NOTICE: In the interest of Safety ALL ponies, including foals, must be securely haltered and led within the Show-grounds. Stewards have been instructed to refuse admission to any animal that is not haltered or led. No Exhibitor shall leave the show ring until authorised and then must leave in the manner directed by the Stewards. NOTE: The Society reserves the right to take a drug test on any exhibit on the Society’s premises at any time. Should it be proved to the satisfaction of the Society that any drug has been administered to an exhibit for the purpose of affecting its conduct/appearance in the Show Ring, the exhibit may be disqualified, and the exhibitor penalised as the Society shall direct. Any entry for an exhibit which is deemed to have a conflict of interest with the judge in that section will not be accepted.